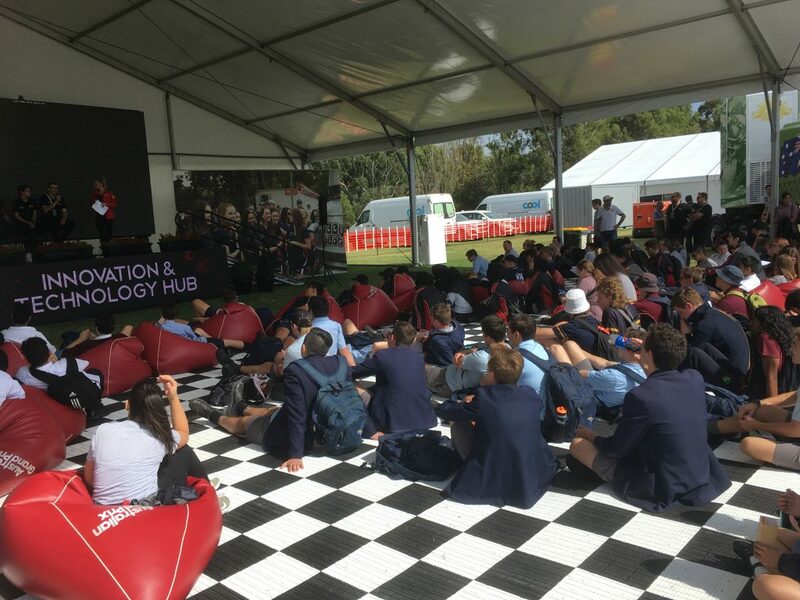 Daniel Ricciardo’s move to the Renault team was part of the talk as we drove to Albert Park on Friday 15 March to attend the Australian F1 Grand Prix. 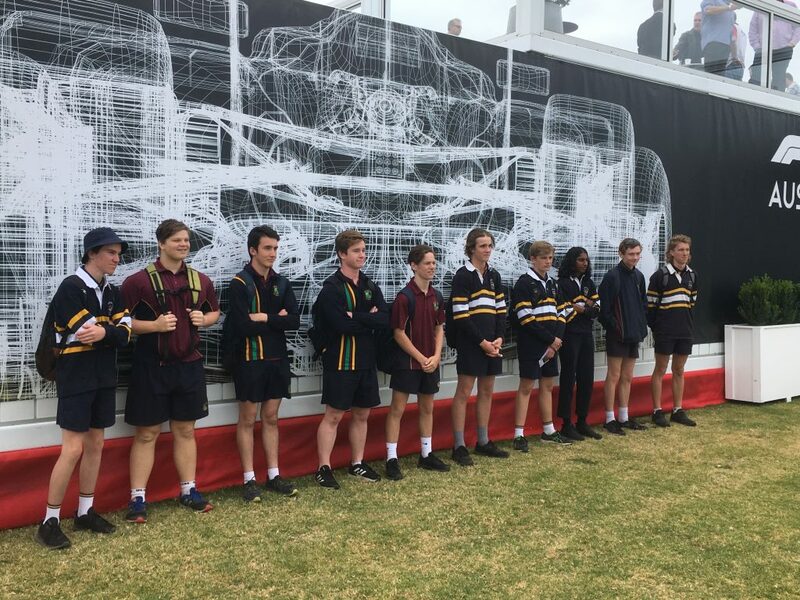 At the ground we saw and joined in a wide range of activities, from a 10m wide CAD drawing of a racing car, to demonstrations of drone technology, hybrid racers, fire- and bullet-proof clothing, to admiring (and hearing!) some of the classic vintage cars on show. F1 cars are masterpieces of science, technology engineering and maths (STEM), along with the art of aerodynamic styling. We saw the F4 racers literally lined up across the paddock at one stage. 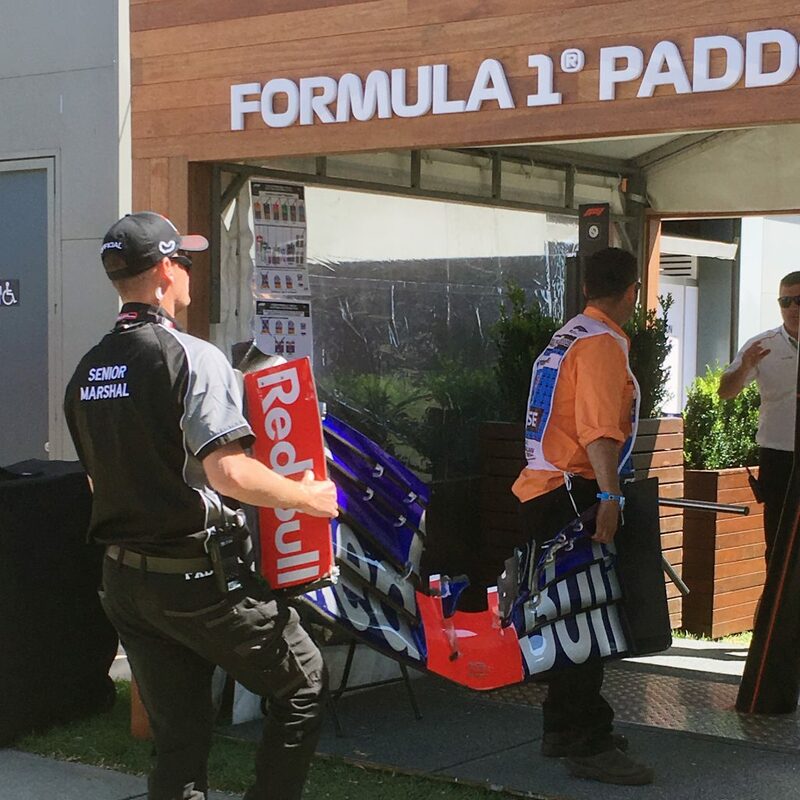 Later we had the chance to see up close, the front wing of one of the F1 cars that had been torn off! 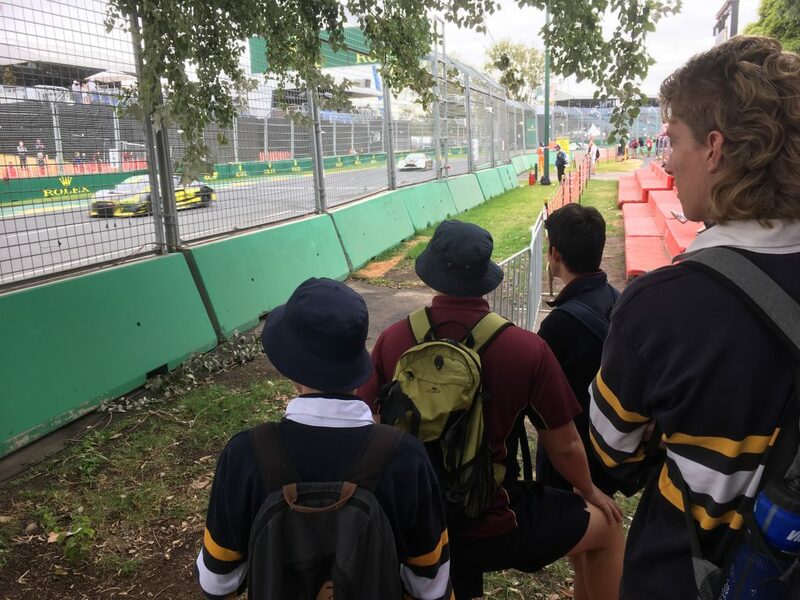 Past student and current media personality Ebony Doherty was kind enough to give us some of her time and talk about ups and downs of V8 supercar racing – one of her drivers was involved in a high speed crash in Adelaide. The finale was a deafening display of aerobatics by an RAAF F-18 strike fighter, before we struggled through the Melbourne evening traffic to come home.